The successful experience of each of these individual postdocs while at Argonne is the core mission of the Postdoctoral Society of Argonne (PSA). One of these experiences is the social life or work/life balance beyond the laboratory work. As the Liaison Officer of the PSA, I am glad that I can take the opportunity to make Argonne one of the top places for a postdoc’s social life in the country. During the past year, the PSA has organized many social activities. Take a look at our photos and events on our Facebook page. Our first social event was the Super Bowl XLVII Viewing Party held on Sunday, February 3, 2013. The game was between the San Francisco 49ers and the Baltimore Ravens. We had a good time at one of the best sports bars in the area: Naperville’s BlackFinn American Saloon. Our second event was to celebrate Argonne being named of the top places for postdocs to perform research as ranked by The Scientist Magazine. The celebration dinner was held at the legendary Shaw’s Crab House in downtown Chicago. 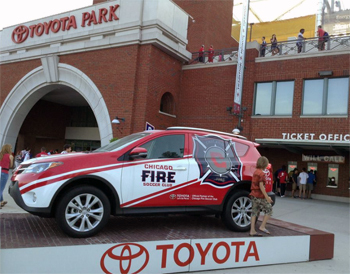 Our third event was held at Toyota Park at a Chicago Fire Soccer game on Saturday, July 20, 2013. The party size was 20 postdocs and we had a great time watching the game. We also enjoyed a package meal with a hotdog, popcorn and beer included with our game. 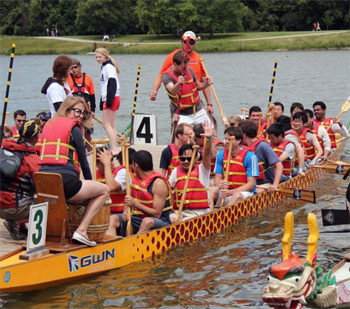 Our fourth event was the Great White North Dragon Boat Race on Saturday, July 27, 2013. We formed a team of about 12 postdocs to compete for three rounds. We had a great time racing, competing and building our team work skills. Our fifth event was at the Fall Color Tour at Starved Rock State Park of Illinois on Saturday, October 26, 2013. We had an enjoyable time hiking on the mountain full of colors. Our last social event of the year was a delightful PSA thank-you dinner to thank our volunteers that made the 2013 Postdoctoral Research and Career Symposium such a success. The dinner was held at Shinto Sushi on Friday, October 18. In a summary, I am glad that I can contribute not only to the research side of Argonne, but the social life as well. The laboratory is one of the most enjoyable places to be a postdoctoral researcher. I hope our next 2014 PSA officers can keep the momentum going to help our postdocs enjoy their time here as well. At last, please like our Facebook page and visit it for updated information about PSA social activities. Shaolin (Allen) Liao is an Electrical Engineer and Postdoctoral Researcher in the Nuclear Engineering Division. His field of expertise is in electromagnetics, lasers and ultrasound and their applications. Currently he is the Technical Lead in the Diagnostics and Detection System Department of NE. 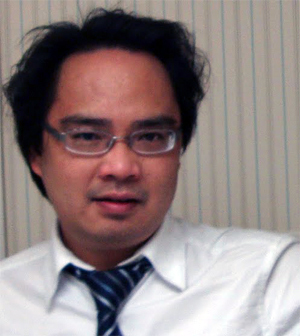 Before joining Argonne, Allen worked on microwave and laser multiple scattering as a postdoctoral research fellow at Research Foundation, City University of New York (RF-CUNY) from May 2008 to January 2010. Allen received his Ph.D. in Electrical and Computer Engineering (ECE) from the University of Wisconsin at Madison (UW-Madison), in May 2008. He also obtained his M.S.E.E. degree in ECE and M.S. degree in Material Science Program (MSP), both from UW-Madison, in December 2005 and August 2003, respectively. Allen earned his B.S. degree in Materials Science and Engineering (MSE) from Tsinghua University, Beijing, China, in July 2000. This entry was posted in Announcements and tagged allen liao, postdoc journal 2013/2014, postdoc society, shaolin liao. Bookmark the permalink.